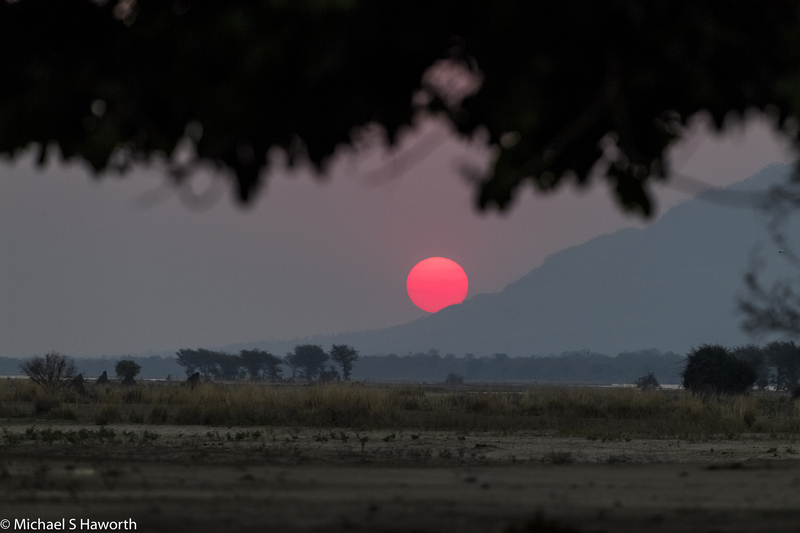 In October 2016 we spent five days in Mana Pools with Wild Eye at the Mwinilunga Safari Camp run by Dave and Tess. 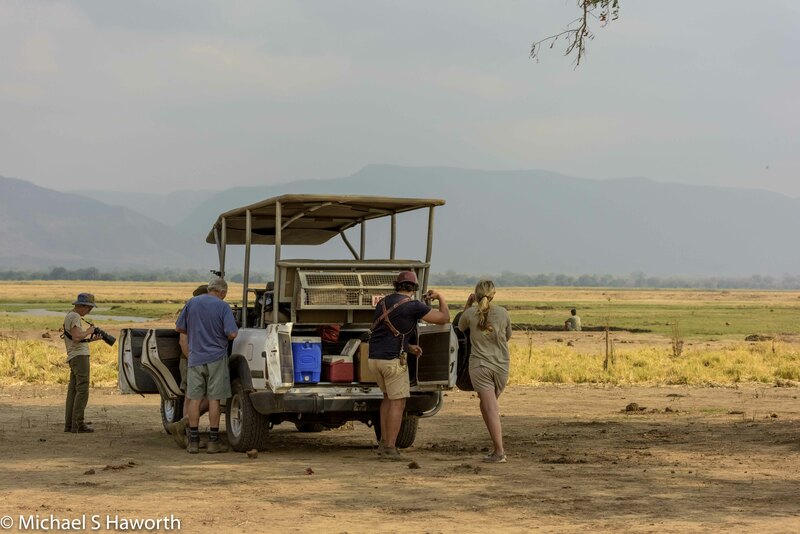 Wonderful people operating a bush camp on the banks of the Zambezi river. 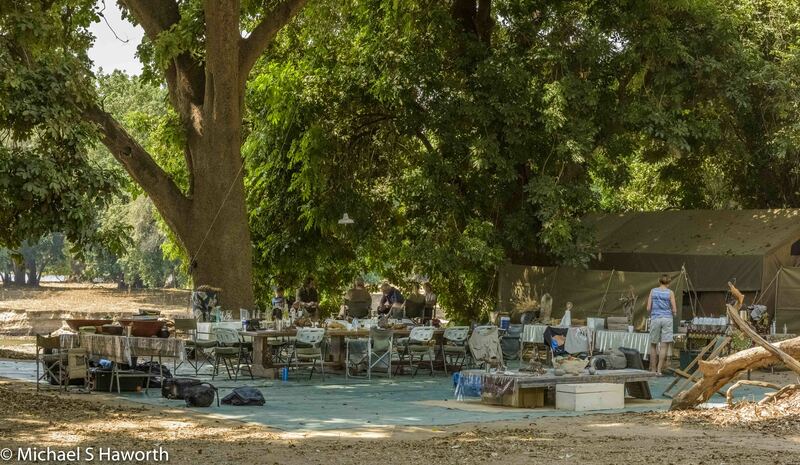 The camp was located in a large grove of Natal Mahogany trees which proved to be much needed shade in day time temperatures above 40 degrees centigrade. The camp was very comfortable. The food was excellent and the company superb. It was so good to be away from civilisation!!!! 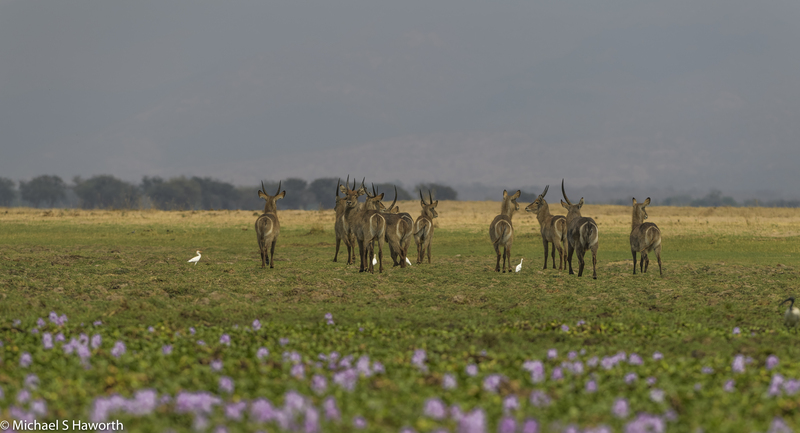 There were no fences so the wildlife was free to wander in and out of the camp which is exactly what it did. 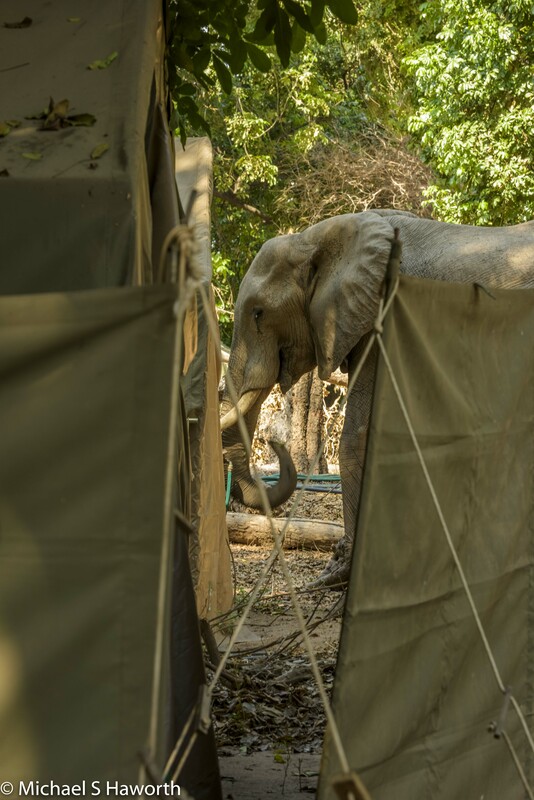 We saw the elephant and hippo in the camp but the night shift we missed. 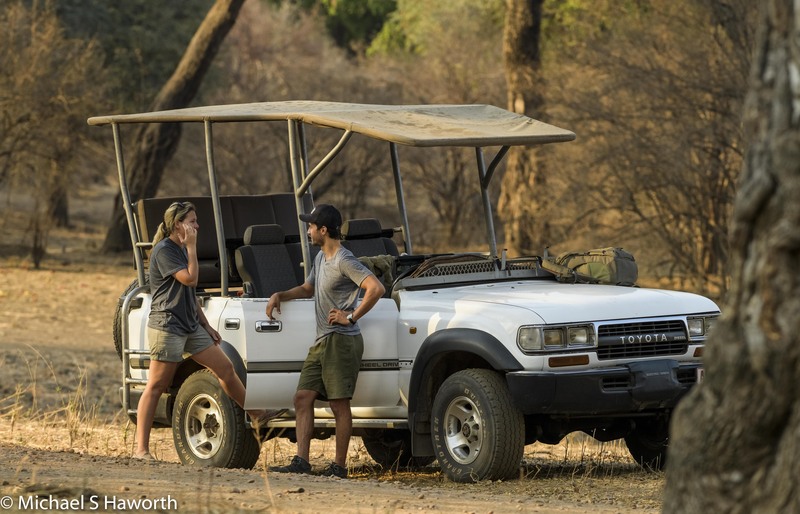 An active photographic day with all that fresh air is the best recipe for a deep restful sleep, so if the lions and leopard passed by, we never heard them. 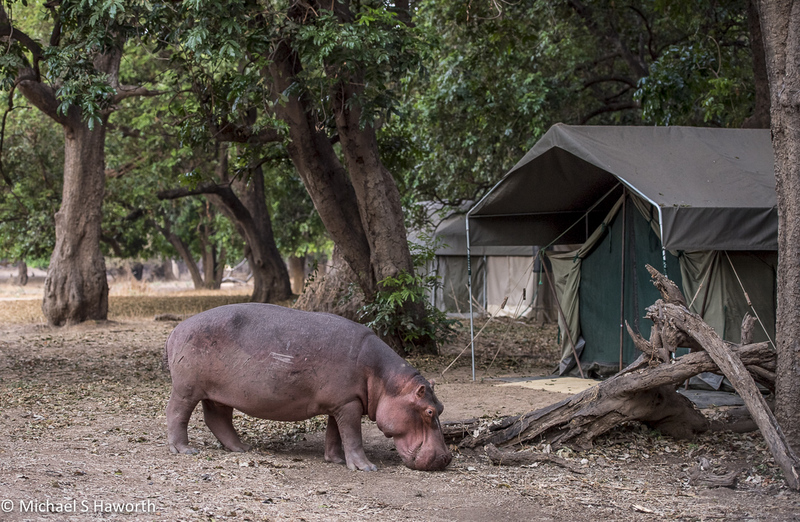 One of two hippos which have been pushed out of the pod and spend the night among the tents in the camp. They have their own nest which they sleep in every night. 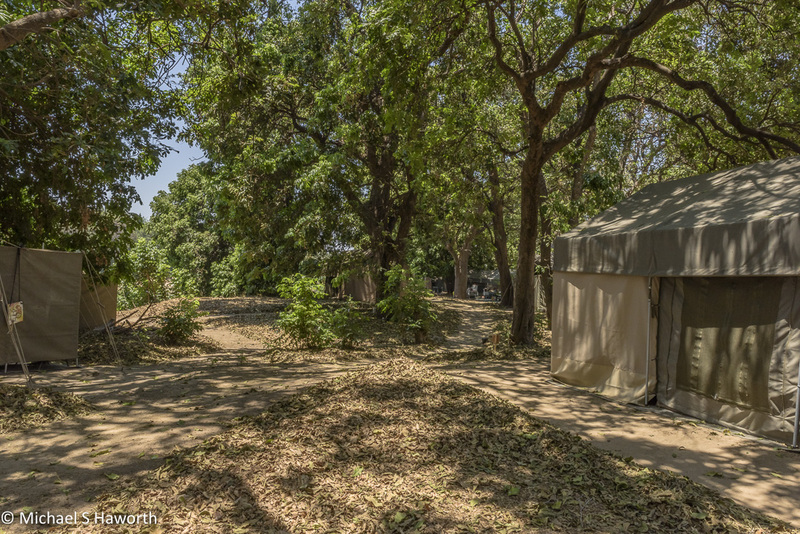 One of the tents, comfortable with toilet and water and no air-conditioning as it is a mobile camp, not permanent. 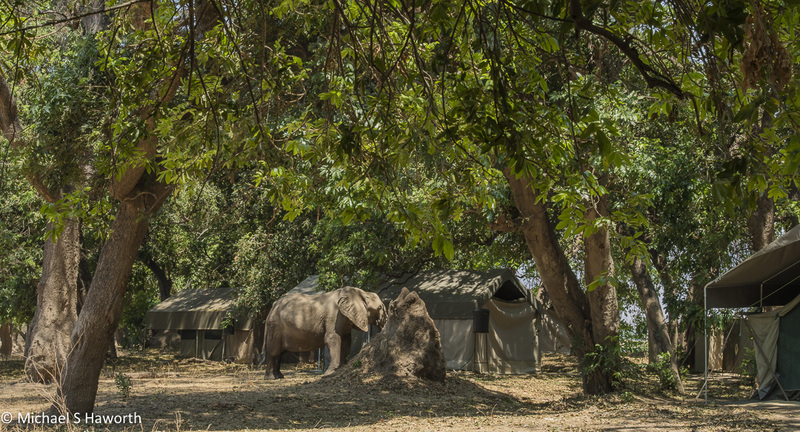 The tents are sited under the large Natal Mahoganies for shade. 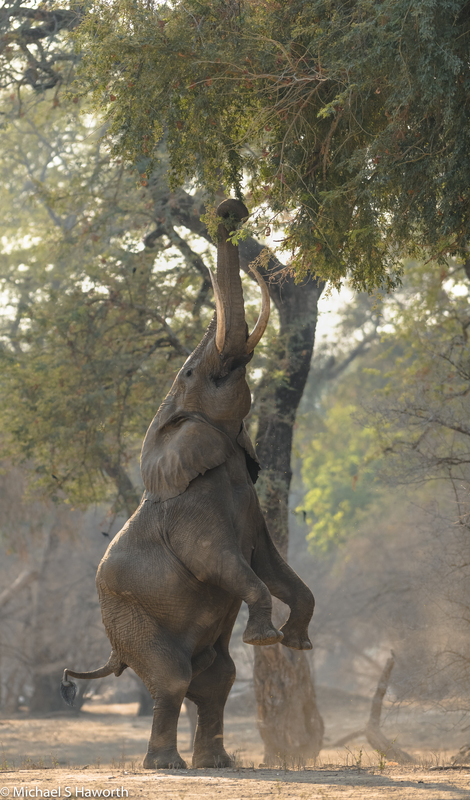 The elephants wander through the camp as there are Ana trees in camp and the love the seed pods from the Ana trees. Kevin is the resident guide at Mwinilunga camp. Wonderful, very knowledgable guy who understands the bush. 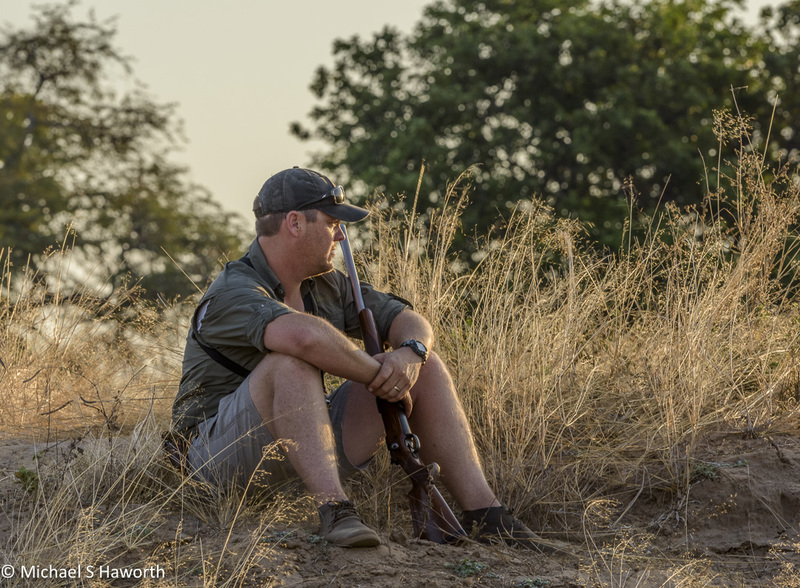 He is the one who takes us for walks with elephants, lions and wild dogs. 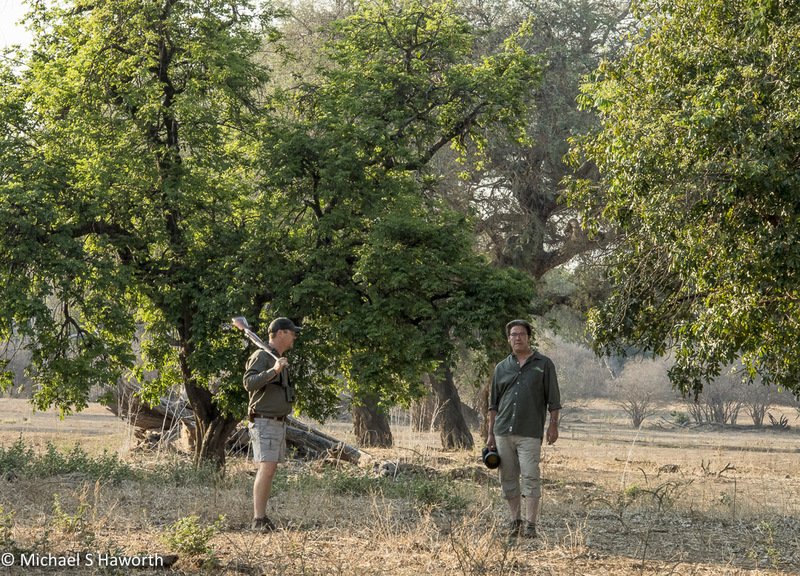 Kevin with Jono Buffy, co-founder of Wild Eye the photographic safari company which specialises in trips to Mana amongst many other destinations. 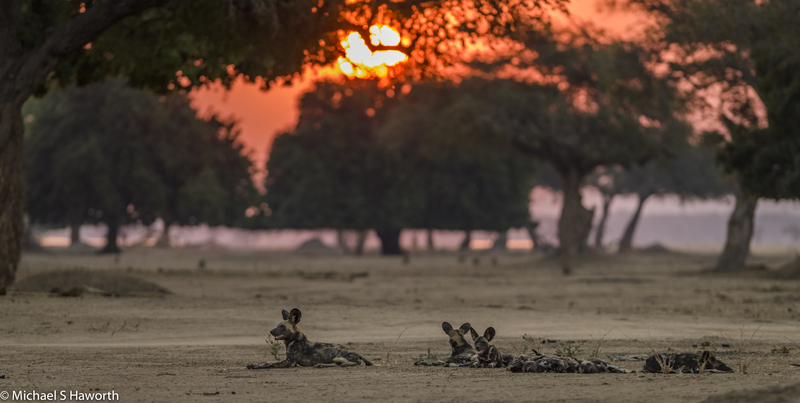 On some mornings, the lions and wild dogs were right next to our camp. 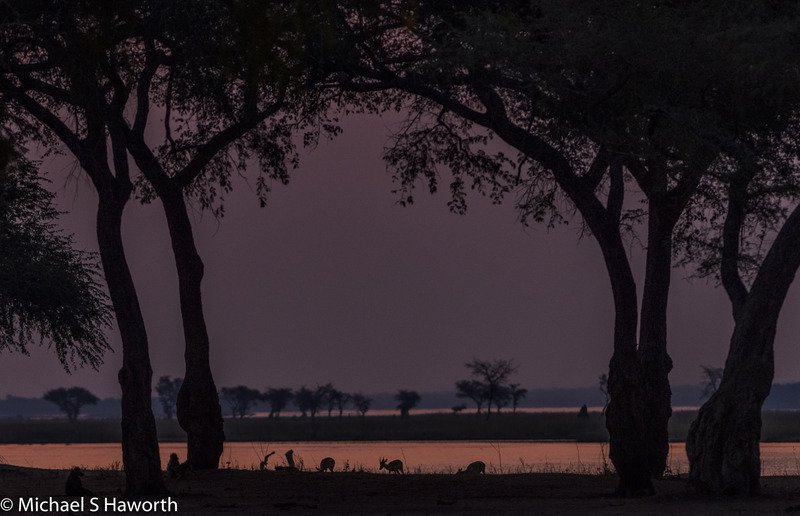 These lions were 100 metres beyond the west side of our camp. The drive out to adventure in the early mornings always had a mid morning stop for coffee and a rusk. The things you see are just amazing and worthy of deep discussion. The colours in the warm summer evening air are just sublime. There were sightings of rare and endangered wildlife. 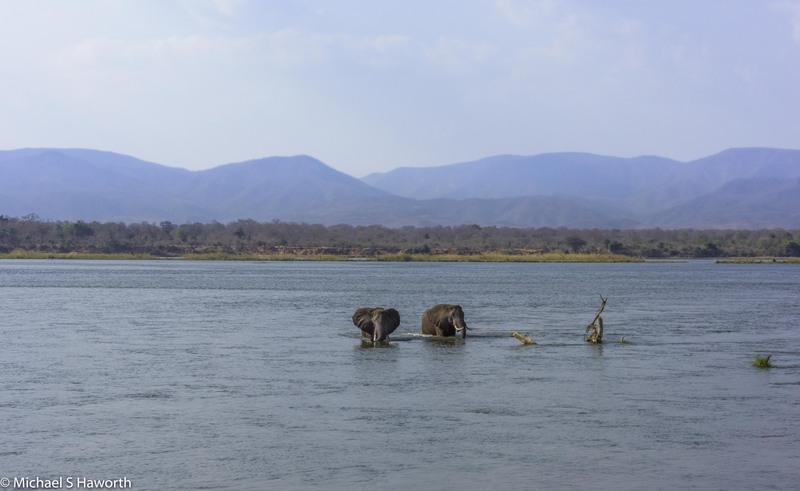 Life beside the Zambezi river is teaming with activity. Two bulls returning from their Zambian visit. 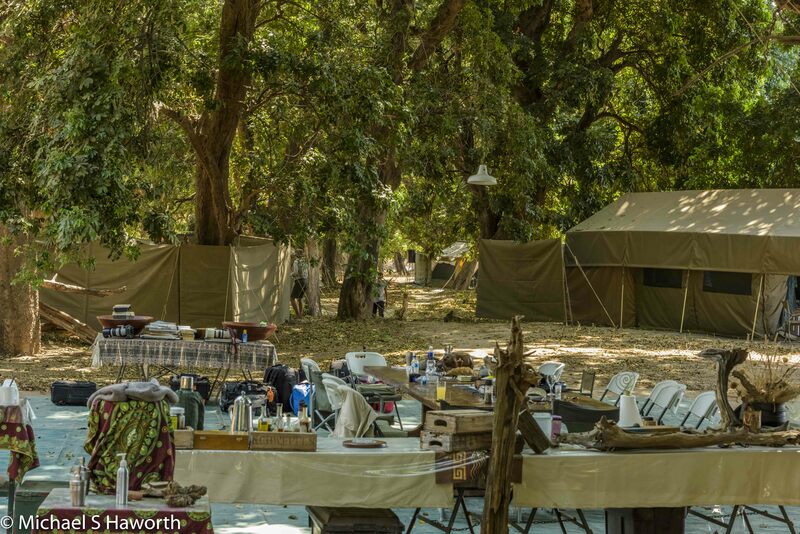 Time to wander our way back to camp – drinks, stories and wonderful food to follow. To Tess and Dave, your hospitality is unparalleled. 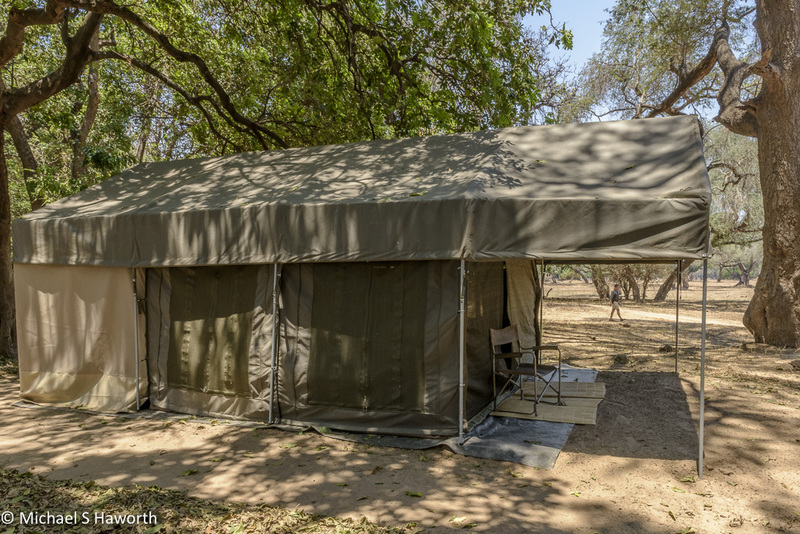 The location of your camp is breathtaking under the lush evergreen Natal Mahoganies right on the banks of the Zambezi river. 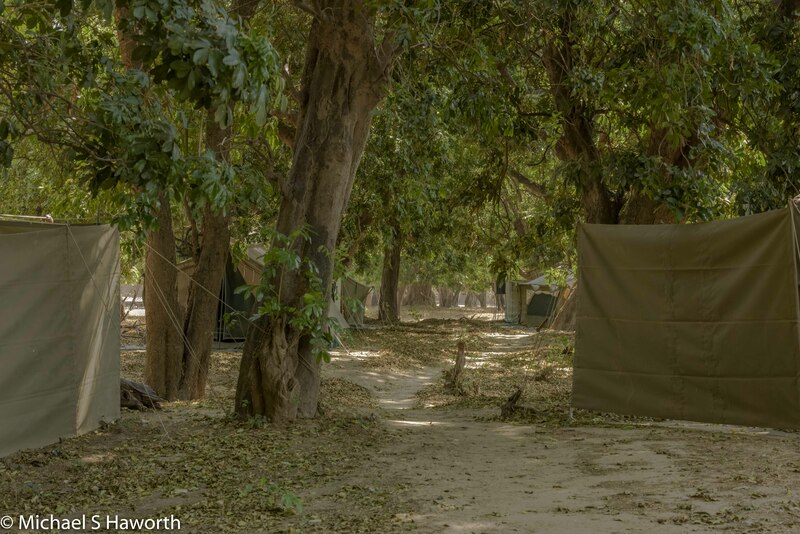 The food was excellent; remarkable considering it is a mobile camp and resupply was a day away. Thank you for making our time with you so memorable. Until we meet again ……….